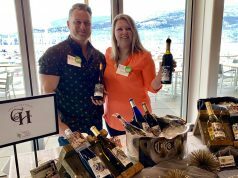 Beyond Skis and Boards at Big White Ski Resort - Gonzo Okanagan Online News, Music, Technology, Sports, Film, Arts & Entertainment, Culture, Wine & Dine... Life! 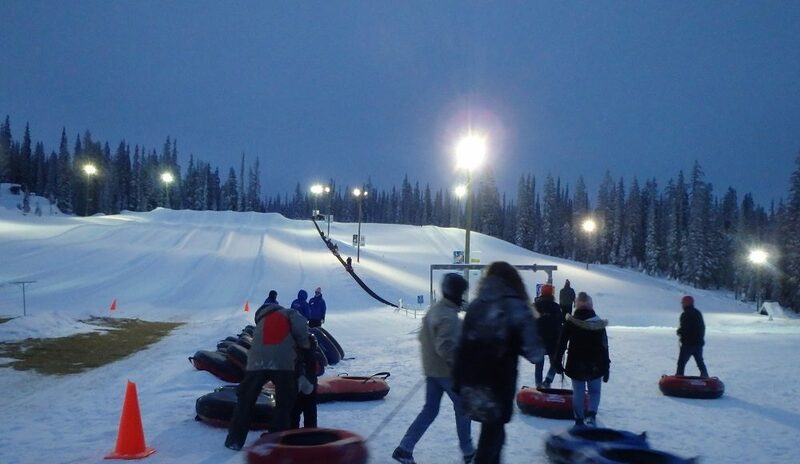 Mega Snow Coaster, Canada’s largest resort tubing park at Big White. Photo credit: Roslyne Buchanan. Faces tilted skyward, tongues extended, we were in position to capture when snowflake meets warm. It’s a short sensation of sublime yet nothing makes winter buzz by more quickly than embracing the season. Is there a better way to do that than gathering your friends and loved ones and heading to the hills to play in the snow? 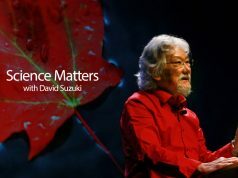 With Valentines Day and Family Day here, time is optimum to build happy memories by summoning your inner child. 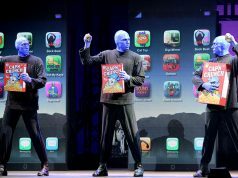 Big White has an app for that! View of the Clocktower and Big White Village Centre. Photo credit: Roslyne Buchanan. Thinking about a ski resort, first thoughts are skiing and snowboarding. Big White facilitates enjoying those activities with a multitude of lifts and runs plus all the accompanying services such as rentals and purchases and lessons. But what else is there to do? One of my best days at Big White went well beyond skis and boards. While I love to ski, I didn’t miss strapping on skis at all. Outdoor skating at Big White. Photo credit: Roslyne Buchanan. Part of a Tourism Kelowna initiative “Cold Fronts and Hot Shots” showing the region’s enchantment whatever the season, we headed to Big White for playtime. Exploring culinary trails, wine and other libations with a healthy mix of winter activities is truly satisfying. 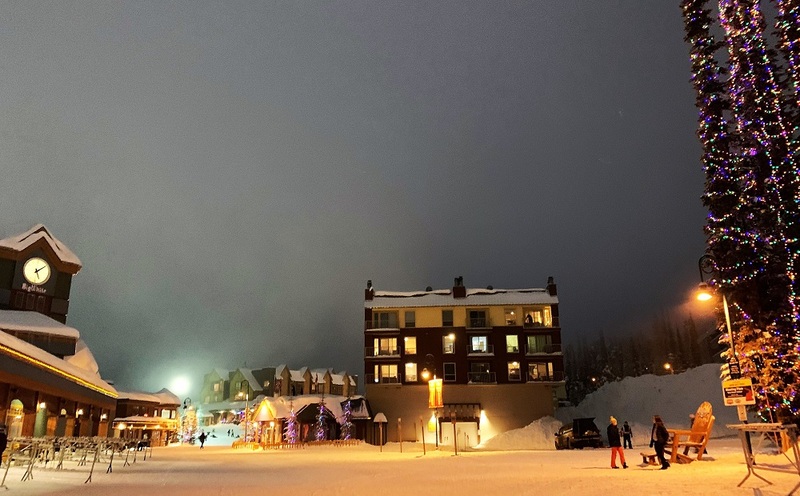 Fortified with delectable Smoked Salmon Eggs Benny at the Oak + Cru at Delta Hotels by Marriott Grand Okanagan Resort, we met Concierge Manager Barb Fritsch at Big White’s Village Centre Mall Clocktower for a tour. We checked out the ski shops, rental facilities, Kids’ centre, grocery and liquor store, and the many eating and drinking options available. Stuffed Bacon Wrapped Dates at The Woods. Photo credit: Roslyne Buchanan. Blame it on pure mountain air. 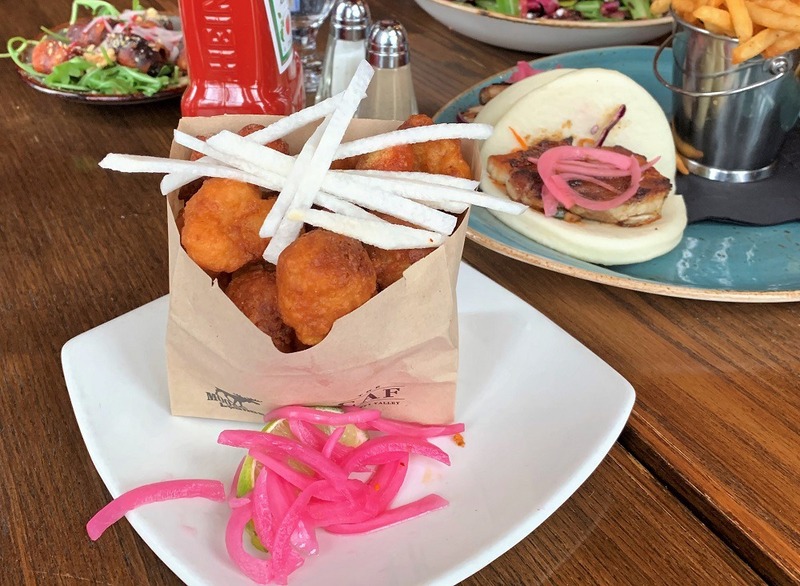 Despite our big breakfast, once familiar with the Village, we met Food and Beverage Manager Ashley Vander Laan and Director of Food and Beverage Trevor Hanna for lunch at The Woods. 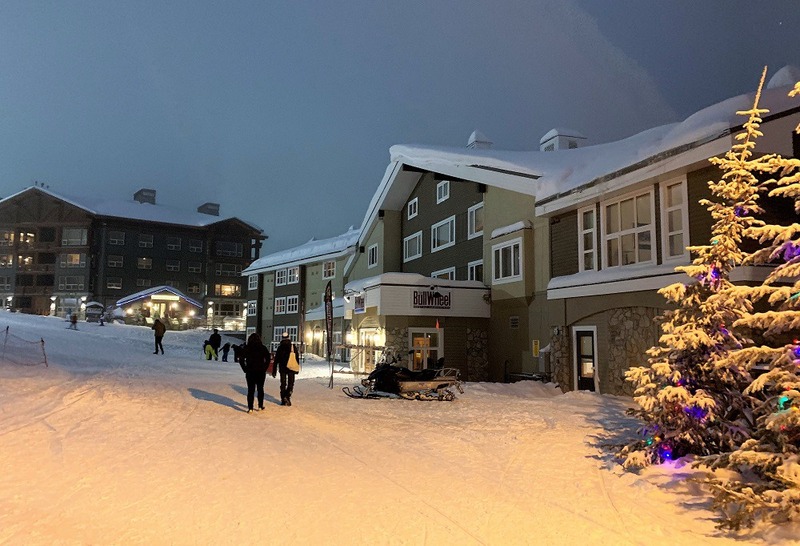 In the heart of the Village, it’s now managed by Big White Ski Resort joining the revamped Clocktower Coffee Co., the beautiful Black Forest Day Lodge and the food and beverage outlets within Happy Valley Day Lodge. Shared plates at The Woods: Chili Pepper Spiced Crispy Cauliflower, Glazed Pork Belly Bao Buns with Fries, Cultivated Greens, Stuffed Bacon Wrapped Dates. Photo credit: Roslyne Buchanan. Executive Chef Rob Walker kept some popular items while enhancing The Woods’ locally sourced and sustainable influence. We couldn’t resist a shared plate approach to try Stuffed Bacon Wrapped Dates, Chili Pepper Spiced Crispy Cauliflower, Cultivated Greens and the Glazed Pork Belly Bao Buns with fries. Now that’s elevated ski hill cuisine! Speaking of elevated, Big White boosts its own craft brewery, Elevation 57 Brewing Company, in Sessions Taphouse. Hopping on the convenient Gondola, we headed to Happy Valley Adventure Park for recreational options including Ice Climbing. 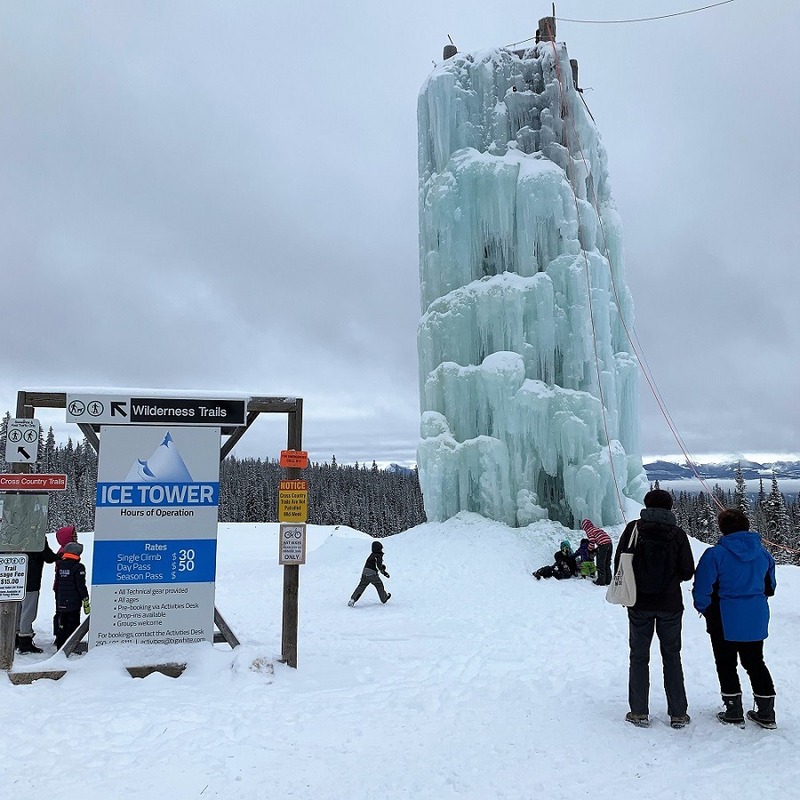 Big White offers an impressive 60-foot tower of ice with beginner and advanced faces designed for diverse fitness levels and ages for those with an appetite for adventure. Arrive a minimum of 10 minutes early to pay fees and gear up with boots, crampons and ice tools. Ice Climbing facility at Big White. Photo credit: Roslyne Buchanan. Rather than climb it myself, I watched my colleague Ann Britton Campbell successfully scale the ascent to ring the bell at the top. While I’m determined to climb it one day, I’m afraid my lunch superseded my adventure appetite and I was too full to consider it. Next, we went to Happy Valley Day Lodge for snowshoe rentals and to meet our guide. 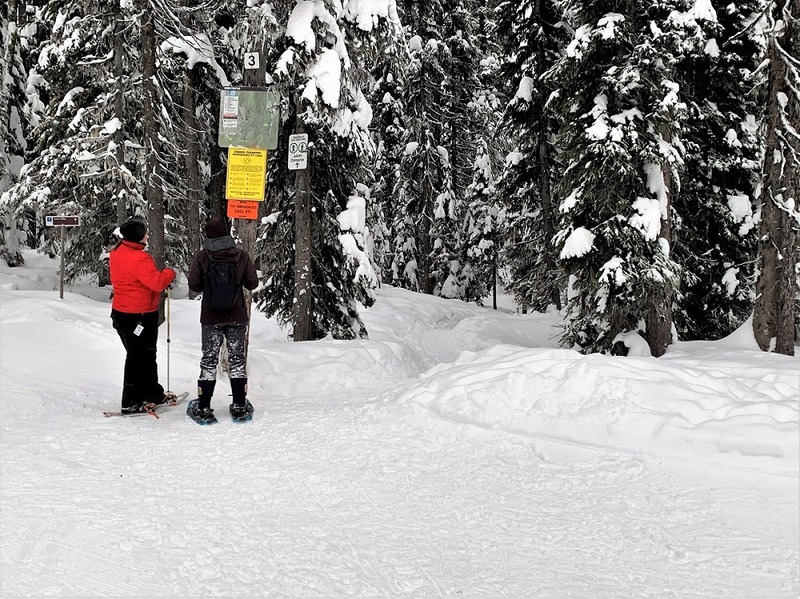 How magical to explore Big White’s well-marked and maintained snowshoe trails into nature’s splendour. As snow wisped up from our snowshoes, we felt as if in secluded wilderness rather than in the midst of a ski resort. Our only interruptions from that fantasy were the occasional cross-country skier with whom we crossed paths where snowshoe and ski trails intersect. Snowshoe trails at Big White. Photo credit: Roslyne Buchanan. Returning our snowshoe rentals, we paused to watch others taking a spin on Canada’s highest outdoor skating rink. 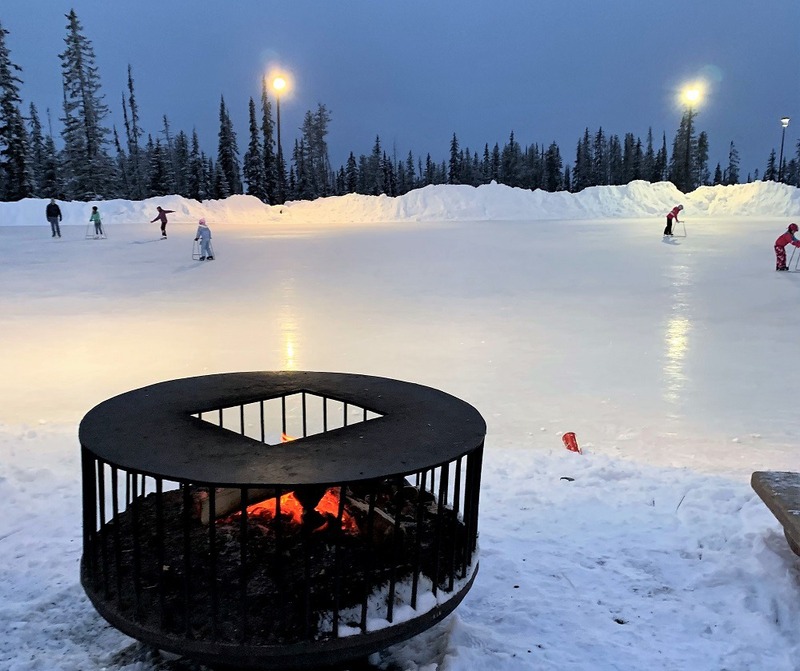 With a warming fire at rink side, whether it’s time for a friendly pickup hockey game with locals or a leisurely ice skate with friends and family it’s a stunning setting. Bring your own equipment or head into the Happy Valley Rental Shop. No ice skating for us, though, because we were on a mission close by to the Mega Snow Coaster, Canada’s largest resort tubing park. No special skills are needed because these “specially groomed lanes allow thrill seekers of all ages to enjoy a high-speed ride down the slopes and a lift back to the top on purpose-built lifts”. We’ll definitely return for this exhilarating fun. Surprisingly, we’d built up a hunger yet again and it was time to head back up the Gondola to the Village. We met Regional Sales Manager Katie Balkwill for dinner at The BullWheel, Gastro Family Pub. It’s home to Big White’s best sports bar with three happy hours, Monday to Friday, 9 to 10 am, 4 to 5 pm, and 9 to 10 pm. The BullWheel reflects the flavours of the Okanagan, showcasing local wine, craft beer and cider. The BullWheel conveniently located in Big White’s Village Centre. Photo credit: Roslyne Buchanan. Quenching my thirst was its own The BullWheel Turns Lager, which paired nicely with the Pork, Veal and Beef Lasagna and a side of Okanagan Salad. The pasta and sauces such as this three-cheese bechamel are made from scratch. Guess my stomach told me that I was headed for more winter sports the next day at the resort because I managed to eat it all. 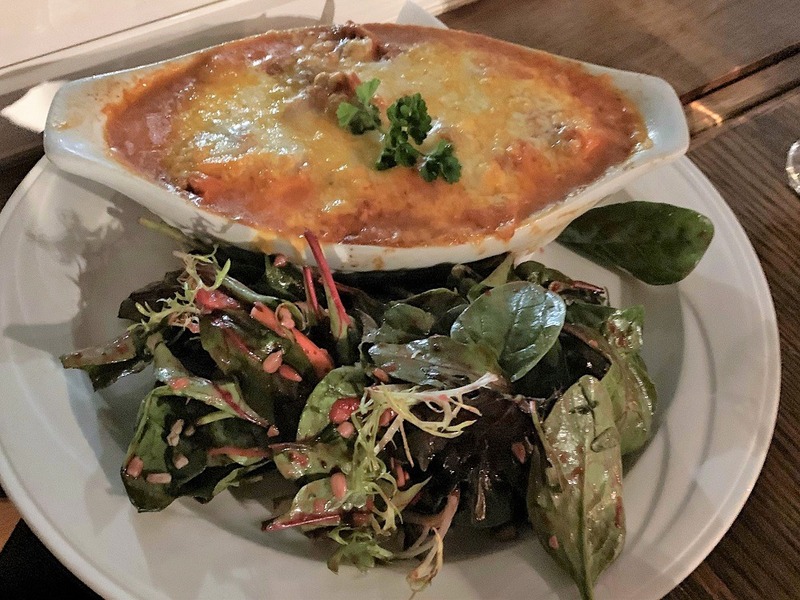 Lasagna and Okanagan Salad at The BullWheel. Photo credit: Roslyne Buchanan. Big White truly offers a thrill-seeking slate of opportunities. Think fat biking – no not a reference to my carb loading, rather wide-tired bikes for skiers and non-skiers to take to the backcountry trails. 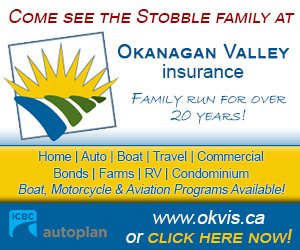 Or snowmobile tours with even a mini version for the kids. Depending on the day of the week and weather, there’s horse-drawn sleigh rides or dogsledding. See bigwhite.com for all details including accommodations. 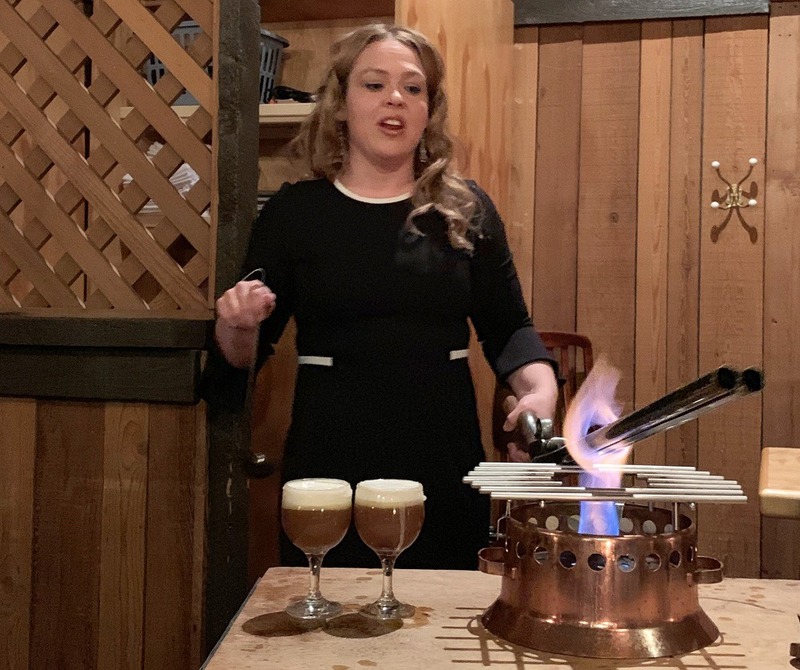 Tableside service to create famous Gunbarrel Flaming Coffee. Photo credit: Roslyne Buchanan. Cap it off at the Gunbarrel Grill with the world-famous Gunbarrel Coffee. From a tableside cart top notch service delivers a unique boozy coffee with a spectacular finale of flaming Grand Marnier shooting down a gun barrel into your snifter. As if that wasn’t pyrotechnical enough, we also enjoyed flaming cherries jubilee dessert. Cold Fronts and Hot Shots indeed. 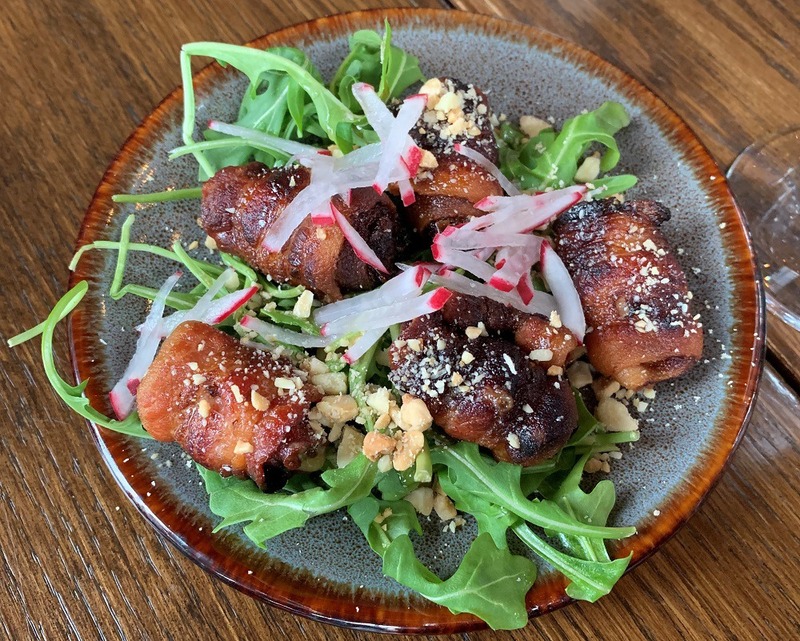 Previous articleFirst listen: Kelowna’s High Horse drop Good Food.